The final section of the exhibition explores other routes by which the connections between architecture and mathematics were developed, and also ultimately undermined. In the later 17th century there was an explosion of architectural publication. Based in London, the print trade produced a stream of vernacular texts for gentlemen and builders, endlessly recycling versions of the classical orders, while trumpeting their accessibility and ease of use. Mathematics became both a foundation of this literary expansion as well as a potentially lucrative market, and London became the leading centre for the creation and manufacture of mathematical instruments for architecture. Nowhere else in Europe was there such a concentration of innovation and entrepreneurship. Architecture represented culture as well as commerce. The success of classical architecture as a vehicle for gentlemanly self-fashioning reached all the way to the court. George III was not only an active patron of architecture and instruments, he was also a devoted and accomplished student of the art. This royal enthusiasm, however, had a downside. 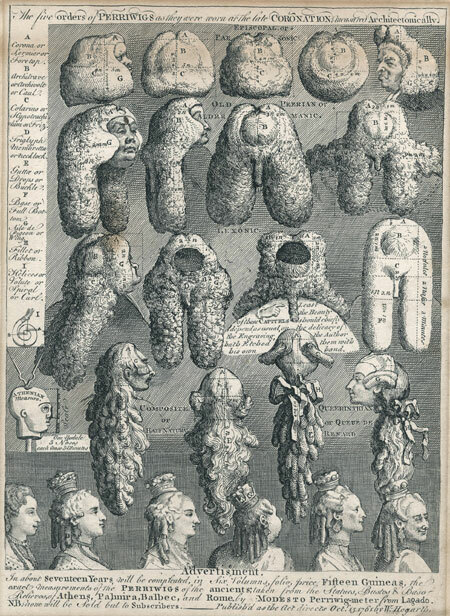 In the era of Hogarth and of party politics, it provided ammunition for satire, aimed at both the policies of the government as well as its cultural patronage. The tradition of architecture and mathematical practice ended not in a widening appreciation for practical instrumentation and polite accomplishment, but in the arena of artistic and political conflict.